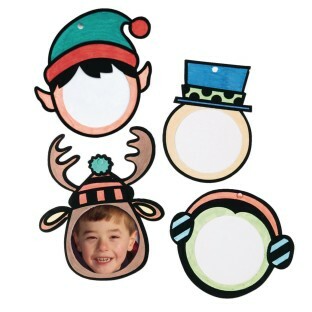 Add a favorite photo to velvet art holiday frames: Penguin, Elf Snowman and Reindeer. Sizes vary, approx 5" x 4-3/4". Color in the frames with crayons, markers or colored pencils, sold separately. Includes frames, red ribbons and instructions. A keepsake ornament you'll treasure! Add a favorite photo to velvet art holiday frames: Penguin, Elf, Snowman and Reindeer. Sizes vary, approx. 5" x 4-3/4". Color in the frames with crayons, markers or colored pencils, sold separately. Includes frames, red ribbons and instructions. Makes a great gift.